Google parent Alphabet said Thursday its second quarter profit jumped 43 percent from last year to $4.9 billion, in results that lifted shares of the internet giant. Revenue jumped 21 percent to $21.5 billion, the California tech giant said, reporting results that bested most analyst forecasts. Chief financial officer Ruth Porat called the results "terrific" and said they "reflect the successful investments we've made over many years in rapidly expanding areas such as mobile and video." "We continue to invest responsibly in support of our many compelling opportunities," Porat said in a statement. Alphabet shares rallied 4.7 percent in after-hours trade on the results. 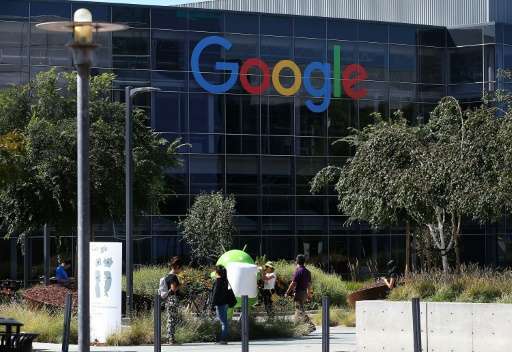 The company announced a reorganization last year that left Google as its main operating unit, with several others representing its "moonshot" investments in new areas. The Google segment nonetheless produced almost all the revenues—$21.3 billion—and operating profit of $6.9 billion. Advertising accounted for $19.1 billion in revenue. The "other bets" line item showed $185 million in revenue and an operating loss of $859 million. Alphabet subsidiaries include Google, Nest Labs, and Google X labs devoted to big-vision new technologies such as self-driving cars. The new structure gives the tech giant more ability to focus on its core business, while offering startup-like flexibility to long-shot, trailblazing projects. While Google is best known as the dominant player in internet search, it has launched a variety of projects in recent years that are marginally related at best to its core operation. The projects include self-driving cars, smart spectacles "Google Glass," internet balloons, drones, health care and Google TV—none of which have become a major revenue source.